Berry Floors represents Elifloor Access flooring system. 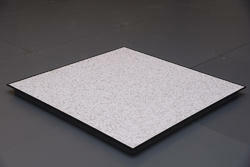 False flooring made up of Cement core, wood core and Calcium Sulphate panels are available. Our company holds vast experience in this domain and is involved in offering Unitile False Flooring System. Dazzle can help with raised flooring solutions that bring your people and places together in ways that reduce costs and improve performance. Owing to the rich industrial experience and expertise in this business, we are involved in providing Aluminum False Flooring. V-Tac Infra System India Private Limited. In order to meet the never ending demands of our clients, we are involved in offering a best quality range of False Flooring to our customers. 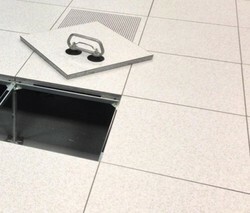 This False Flooring is unique in design and is fire resistant in nature. Besides, these products require less maintenance and are reasonable in prices.